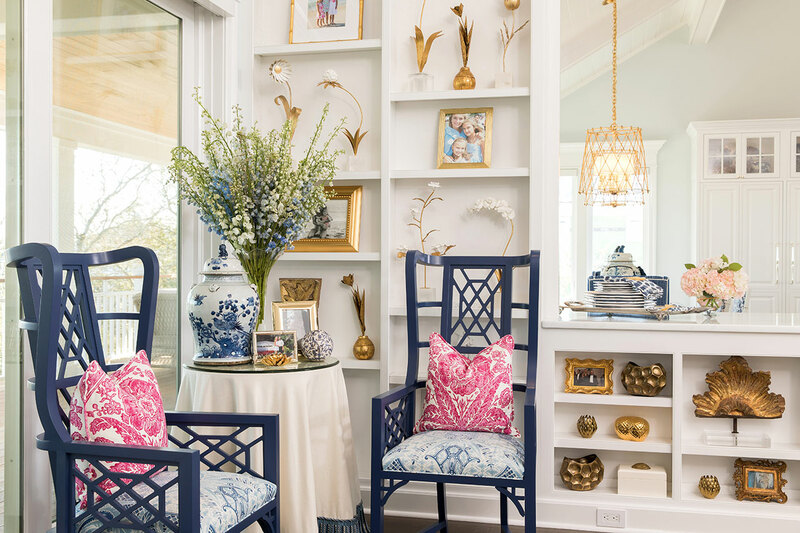 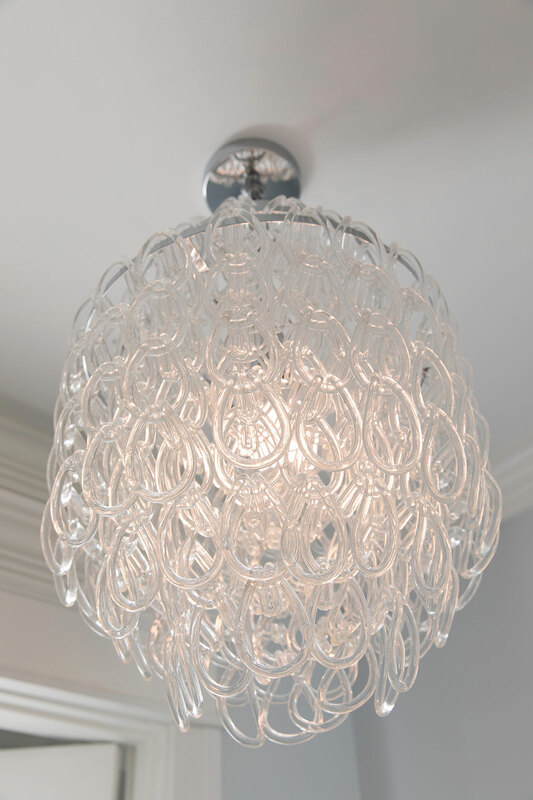 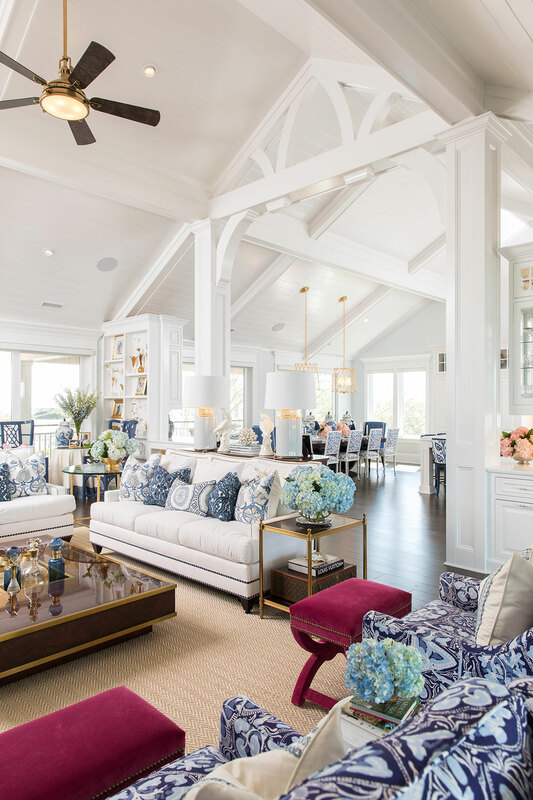 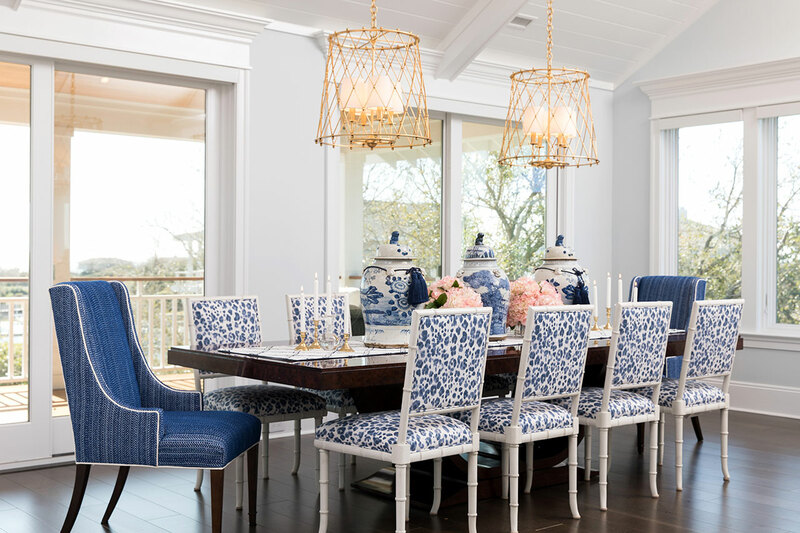 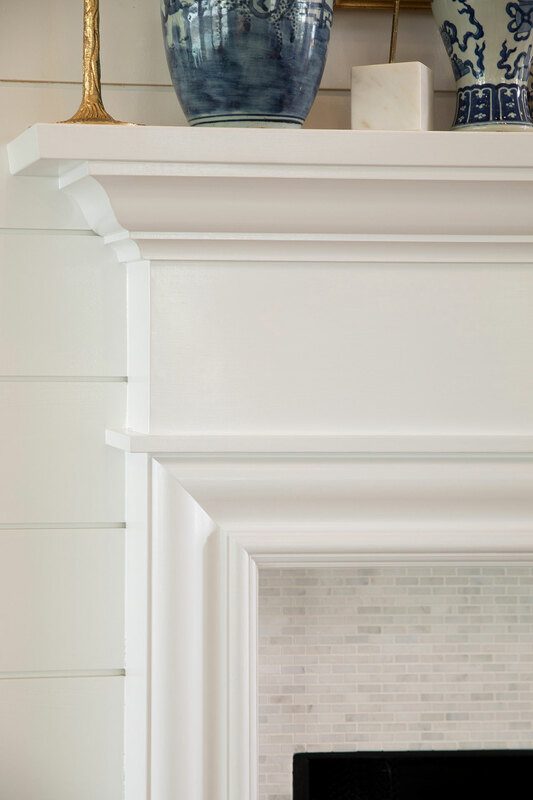 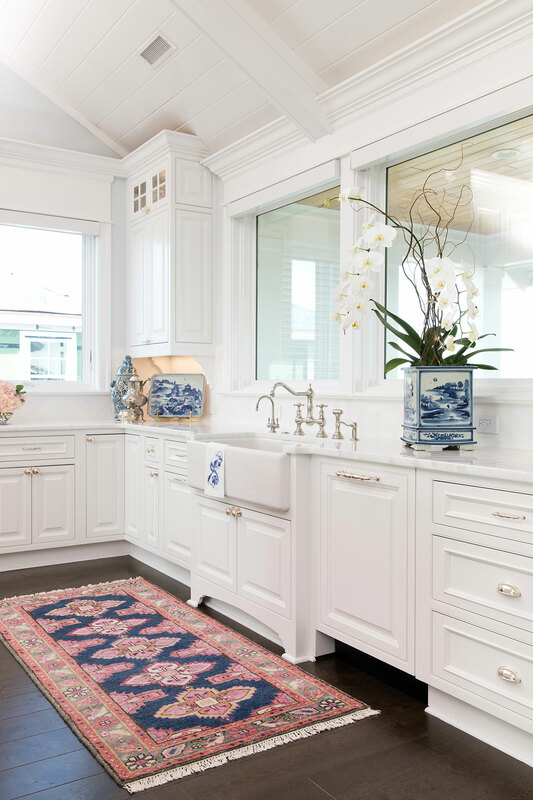 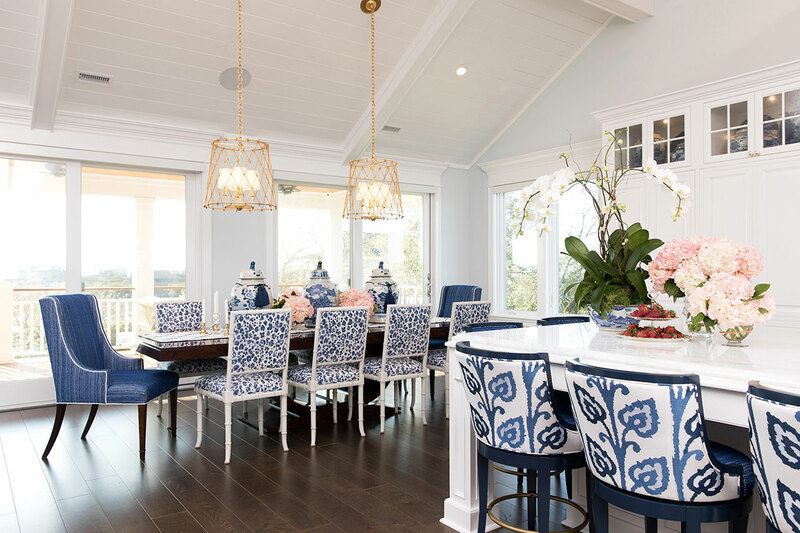 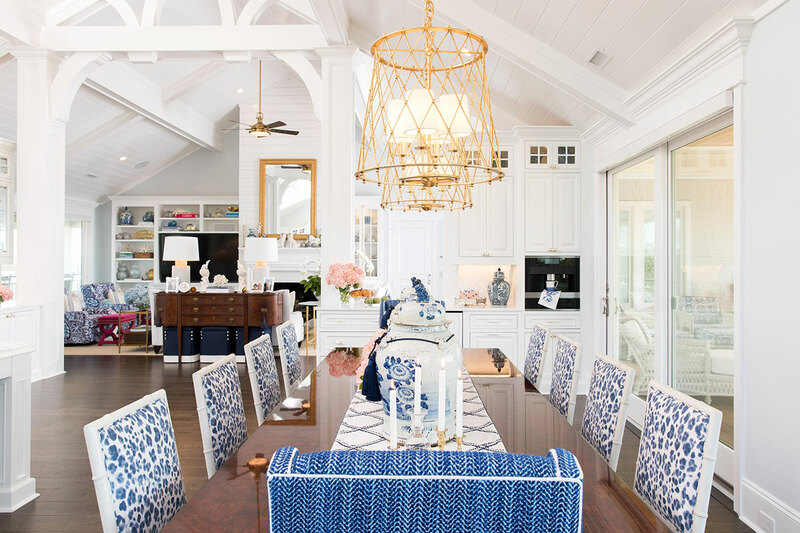 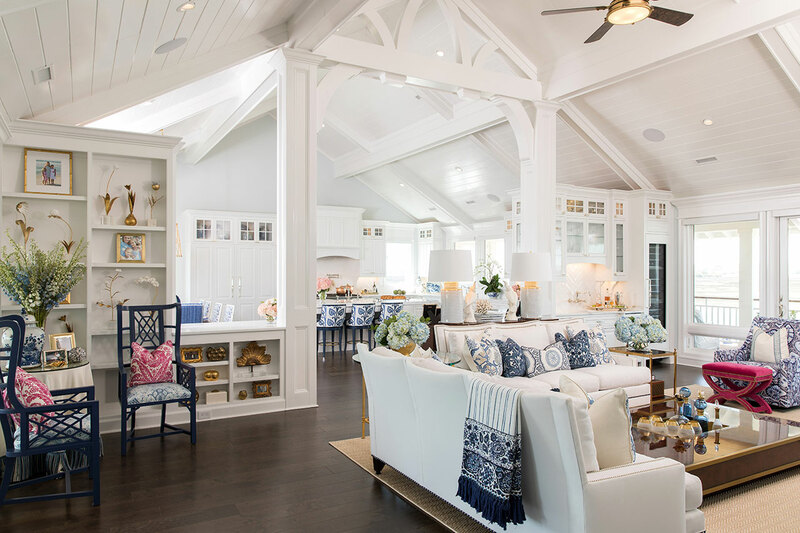 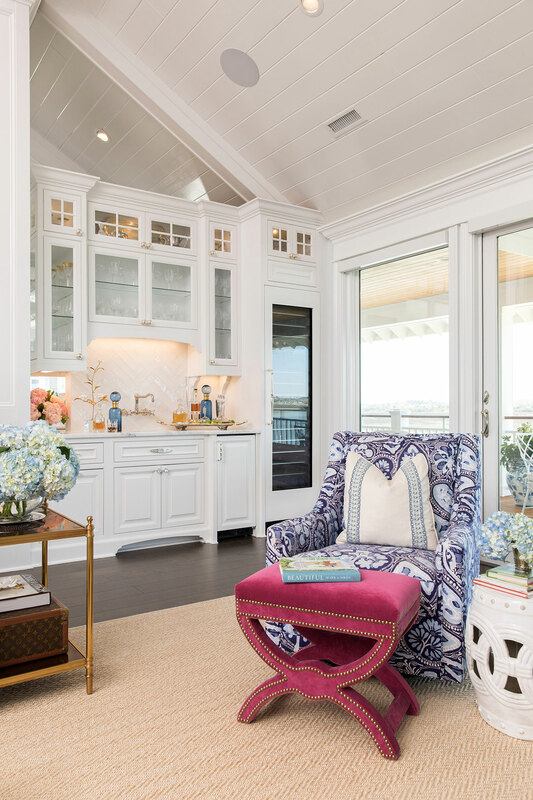 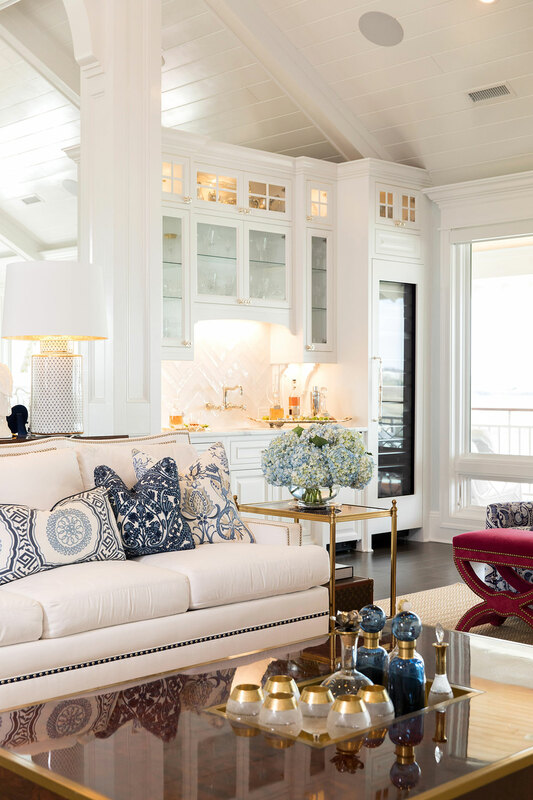 This client wanted her home to have a coastal feel, but in an elevated, more refined way. 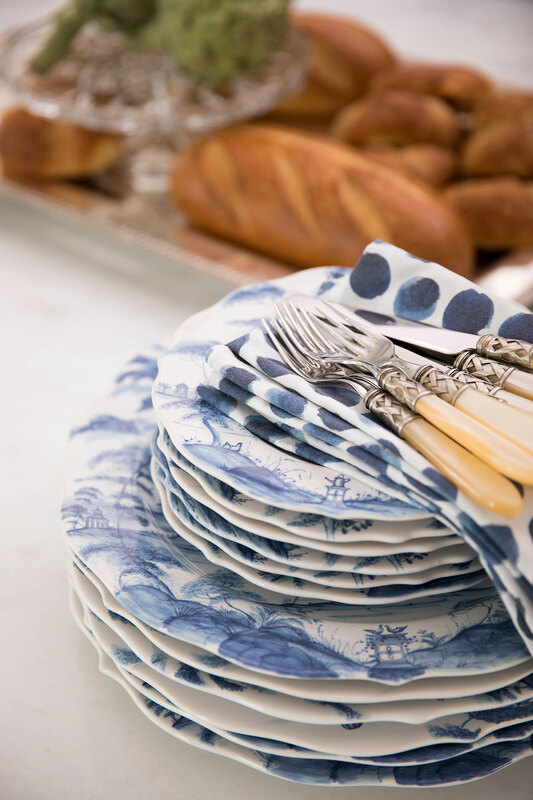 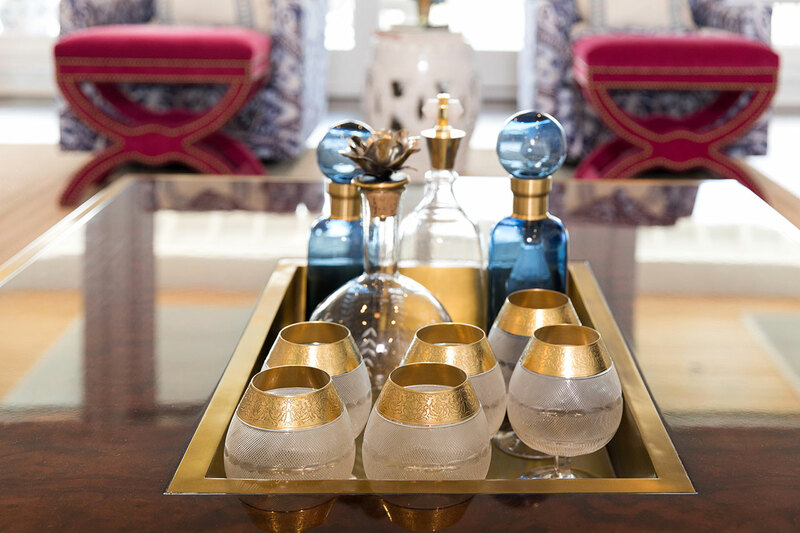 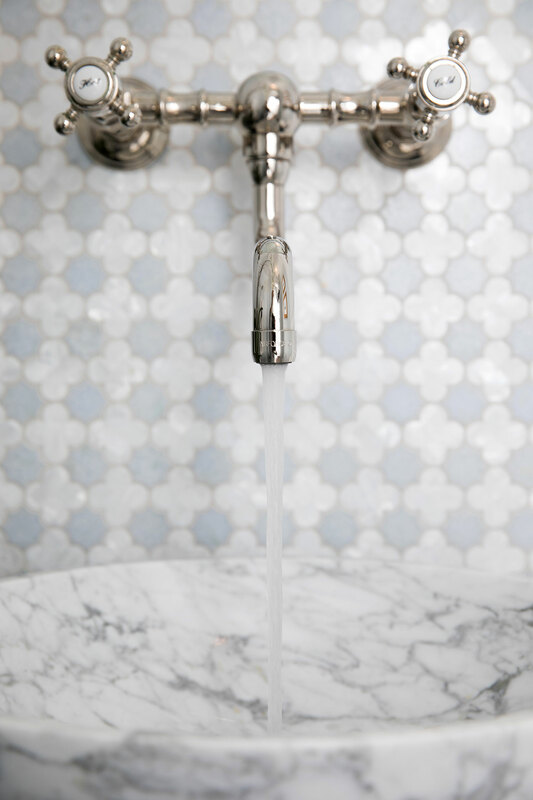 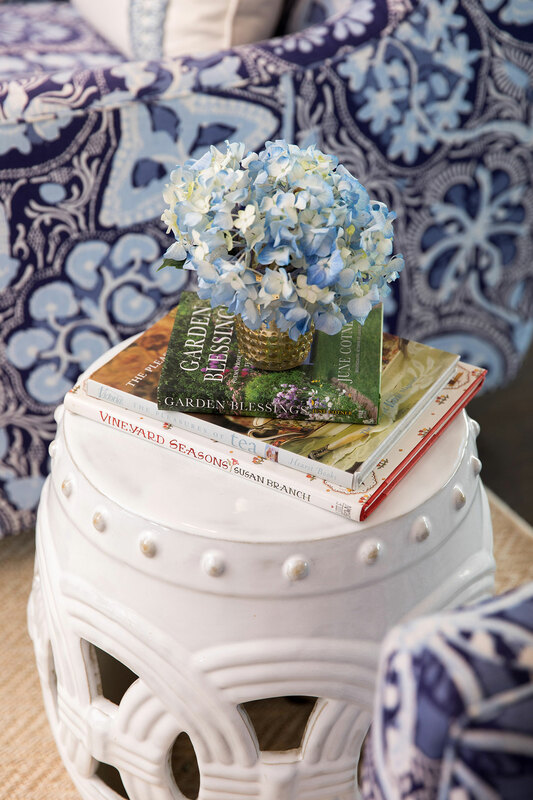 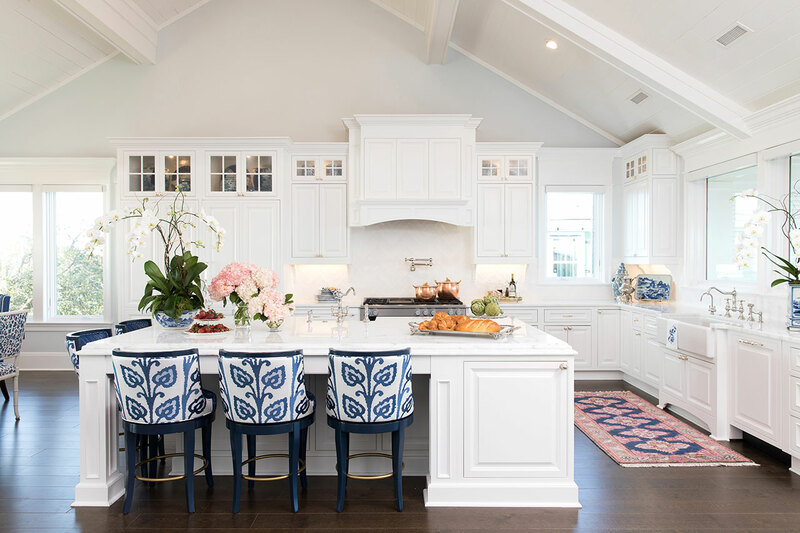 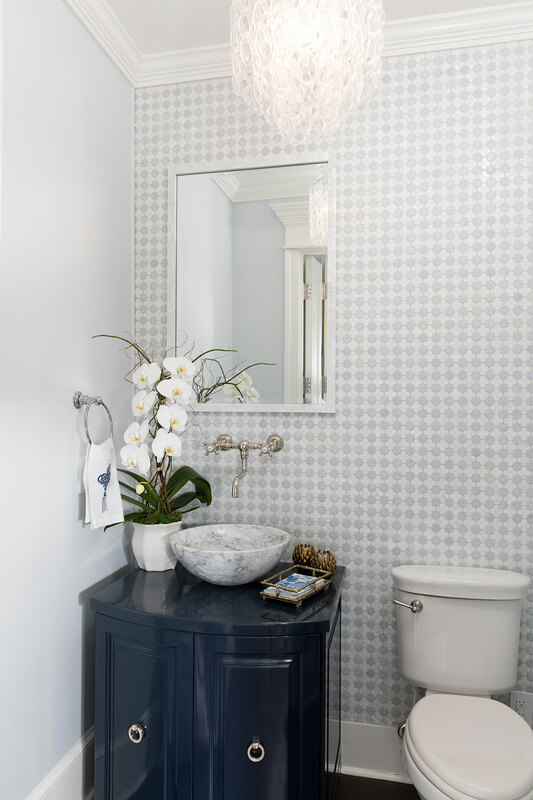 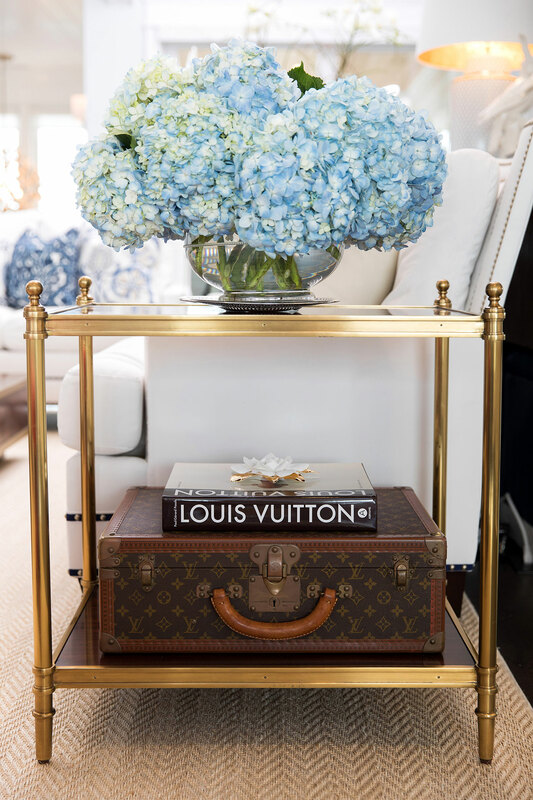 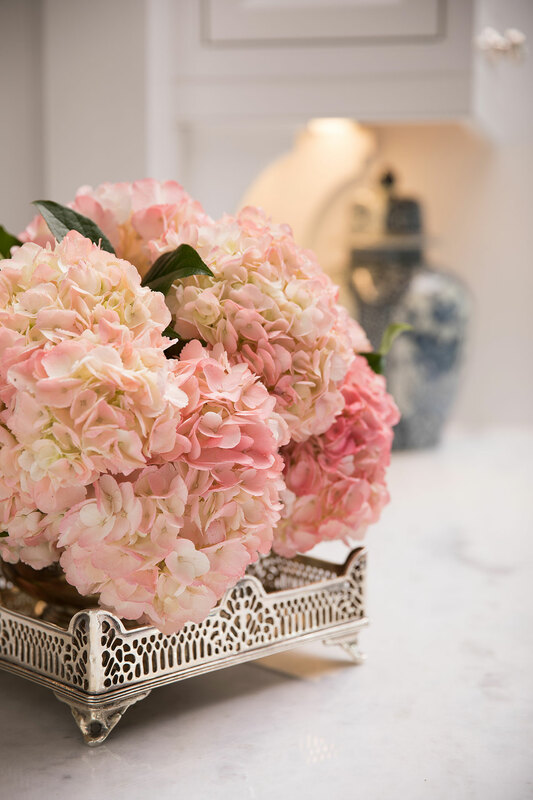 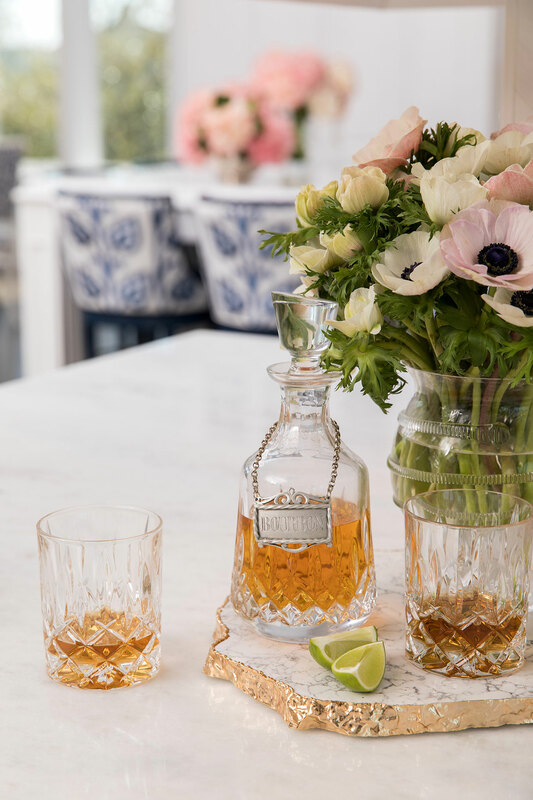 Our inspiration included Aerin Lauder’s home in the Hamptons and her effortless mix of old and new. 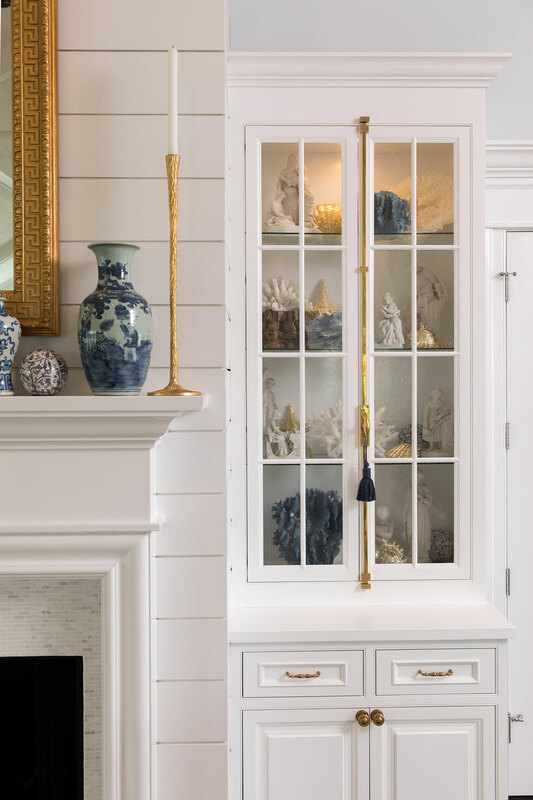 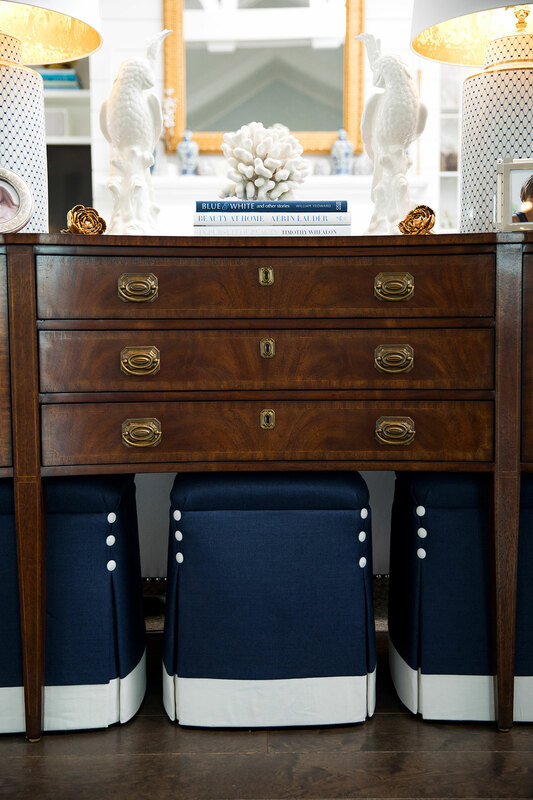 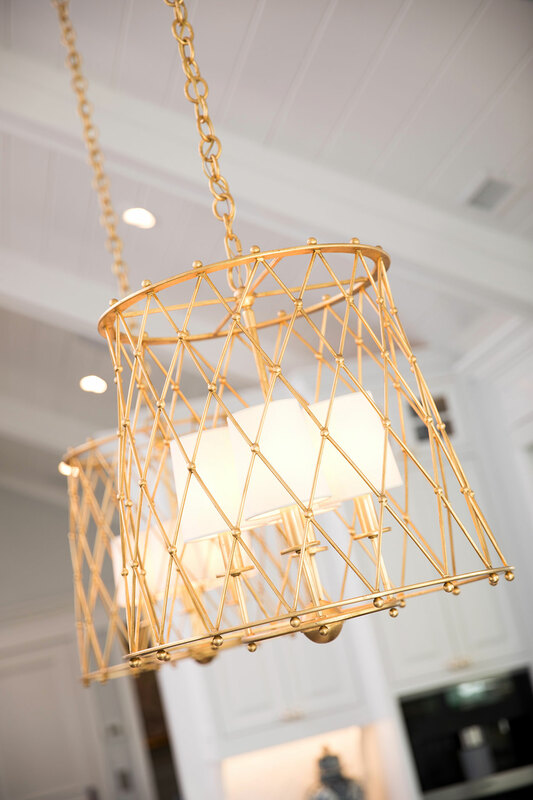 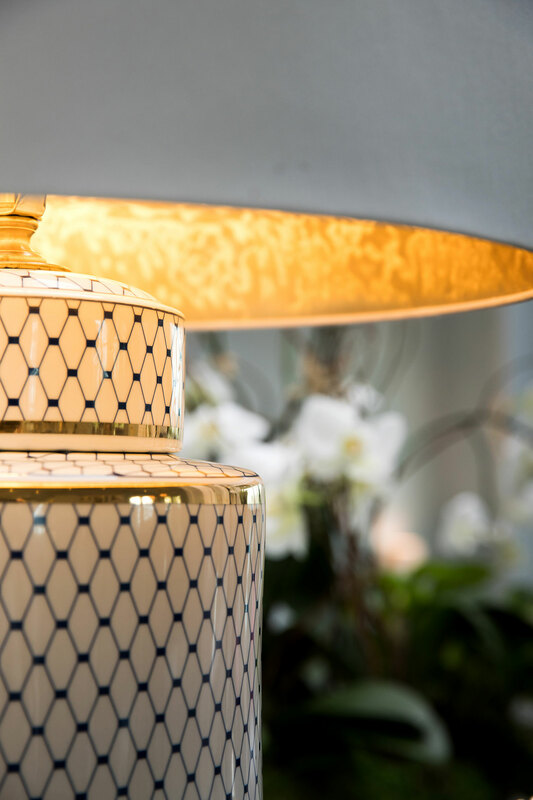 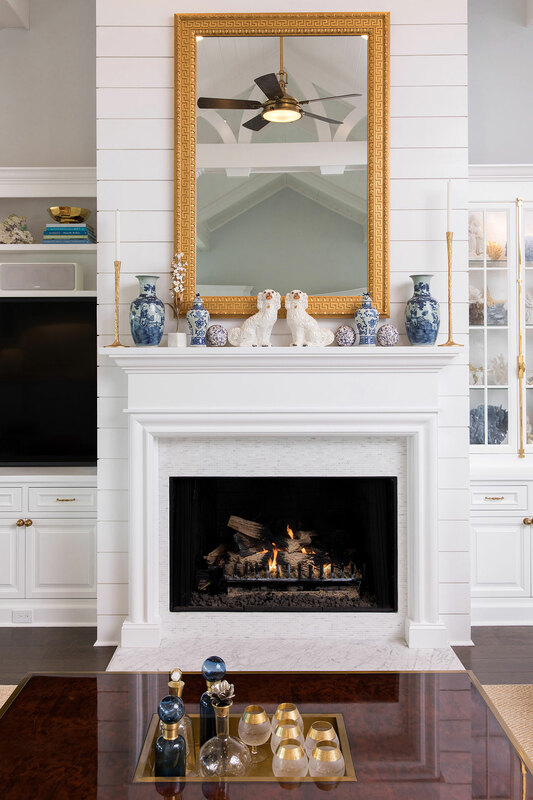 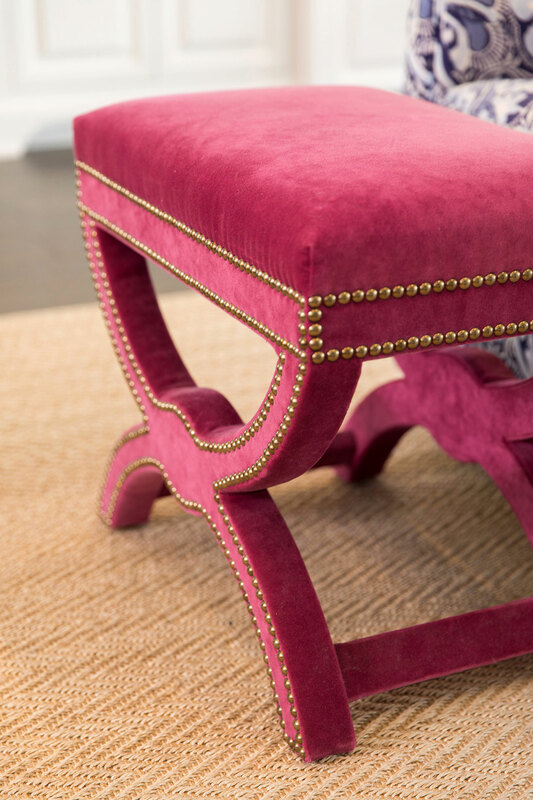 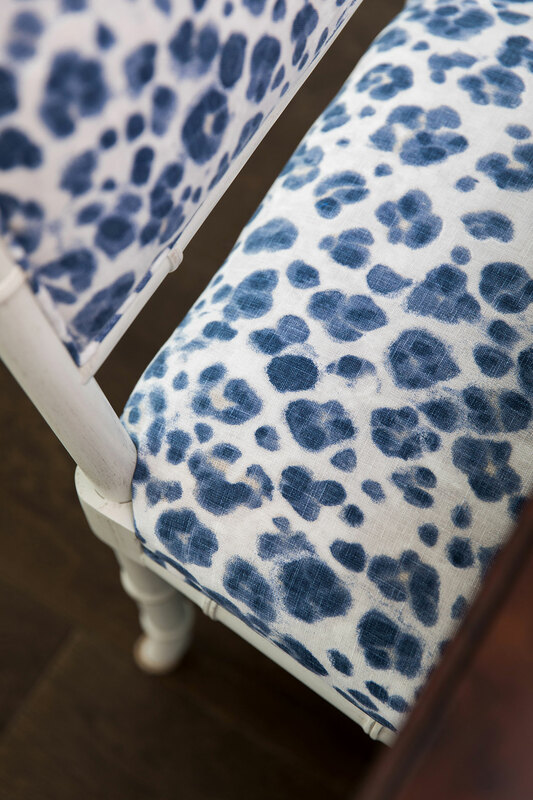 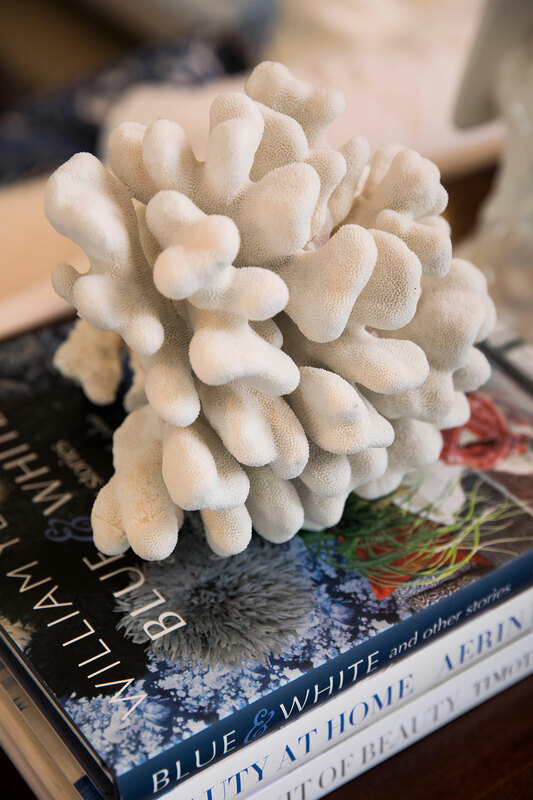 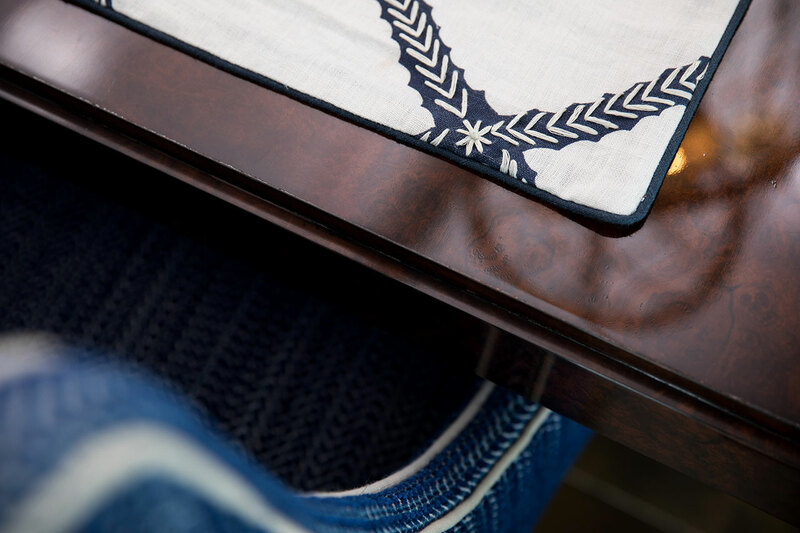 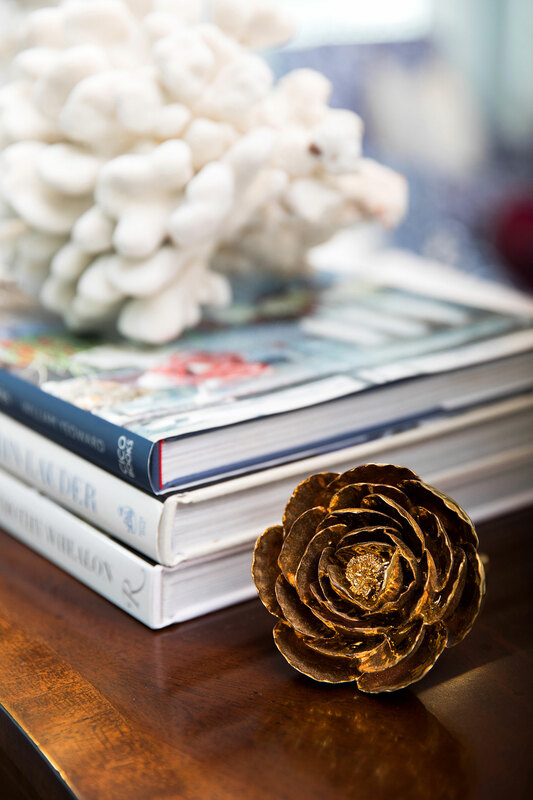 Heirloom pieces and cherished antiques were incorporated with the lighter colors and textures of a coastal environment, resulting in a beautiful contrast that showcases them both beautifully. 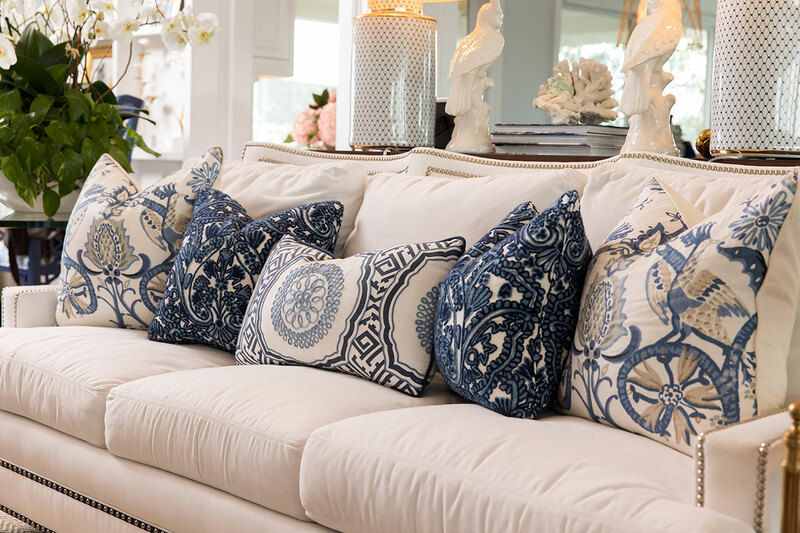 Sunbrella fabrics were used on the white sofas for cleanability and family friendliness. 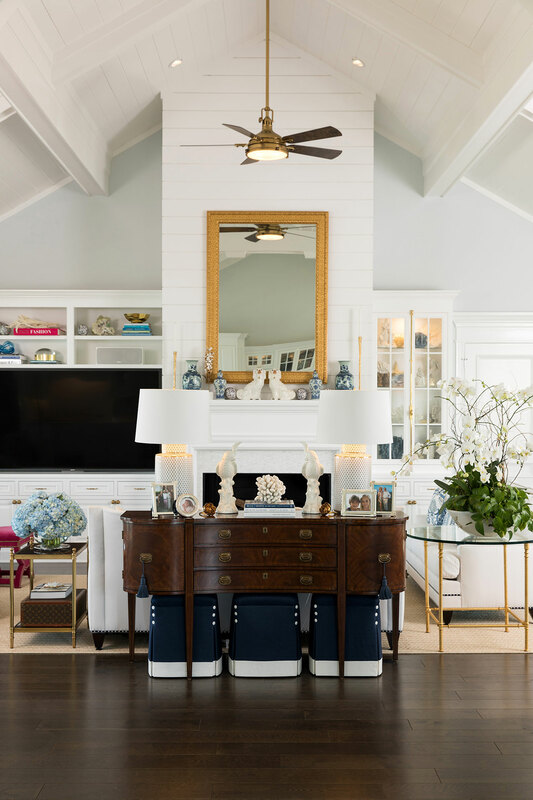 A mix of metal finishes, detailed trim work, and layered textures give this home a collected, heirloom feel. 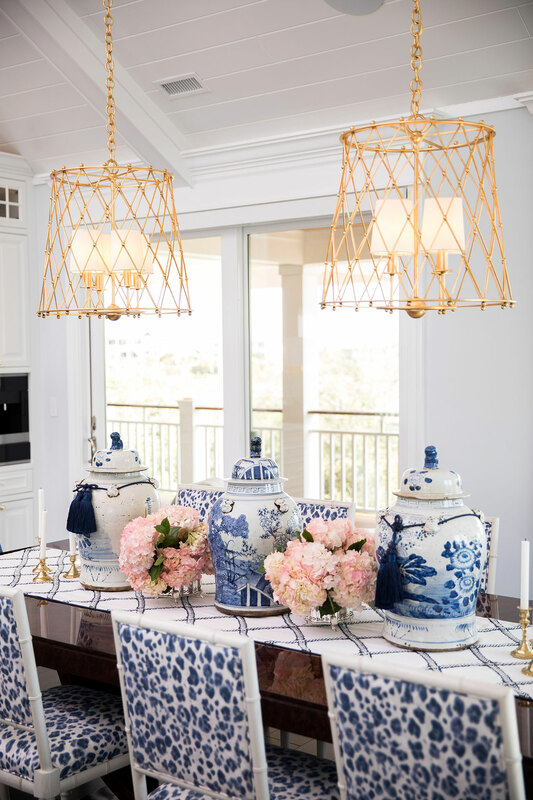 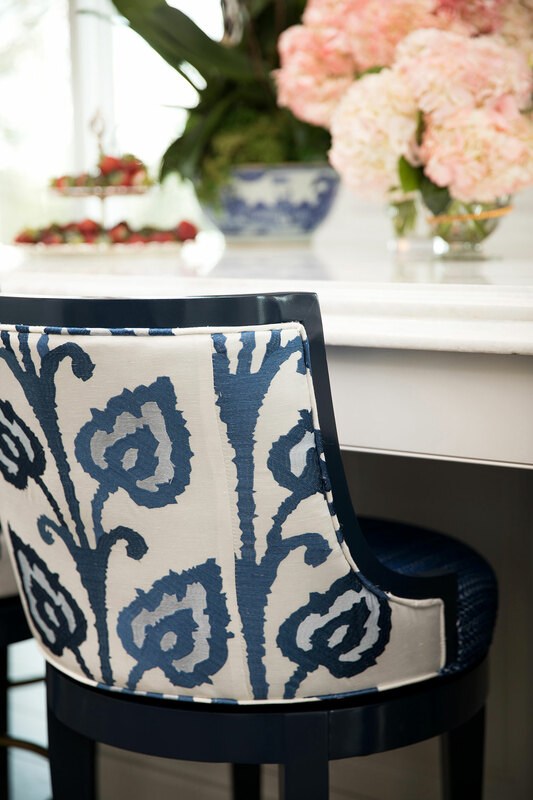 Classic tones of blue and white were the main color palette, with some pink mixed in as a tribute to our client’s favorite hue and fun personality. 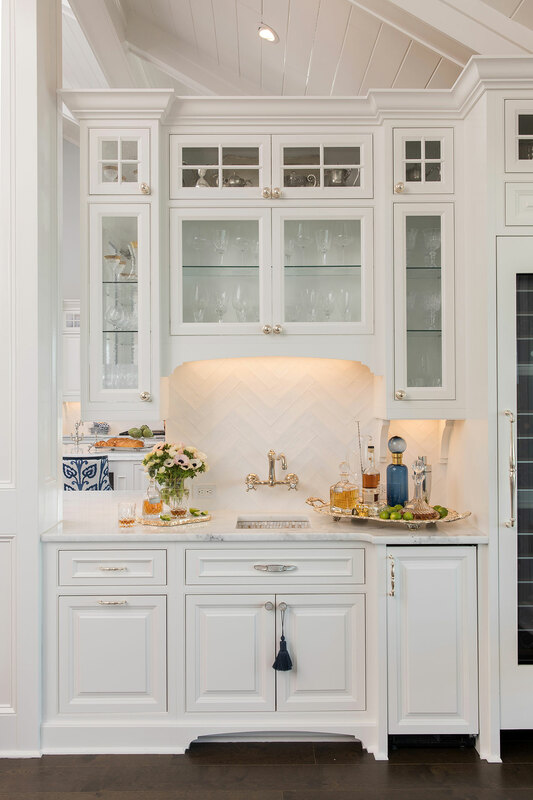 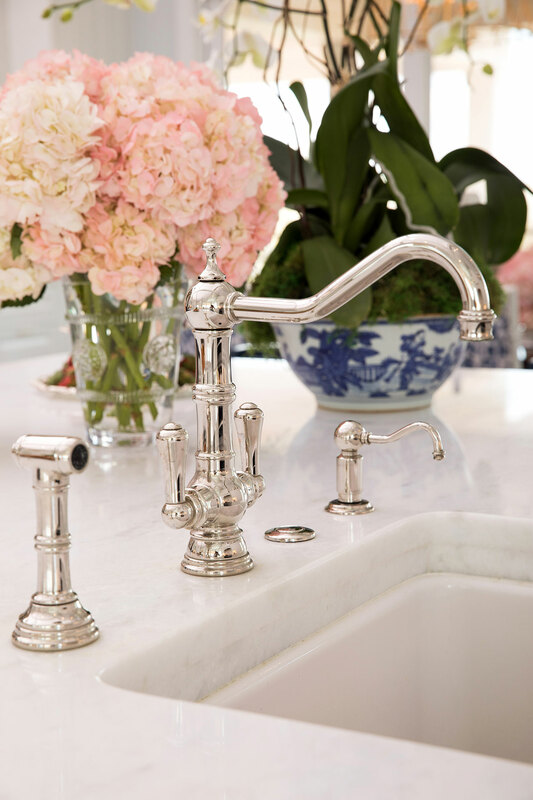 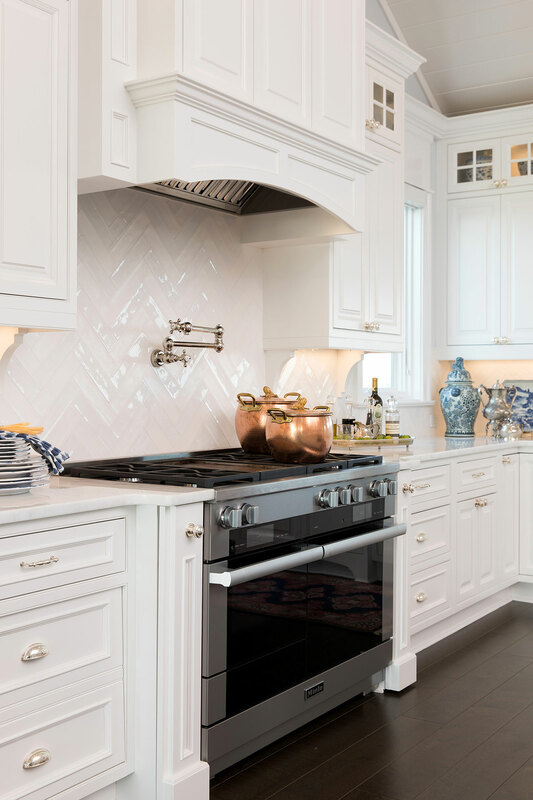 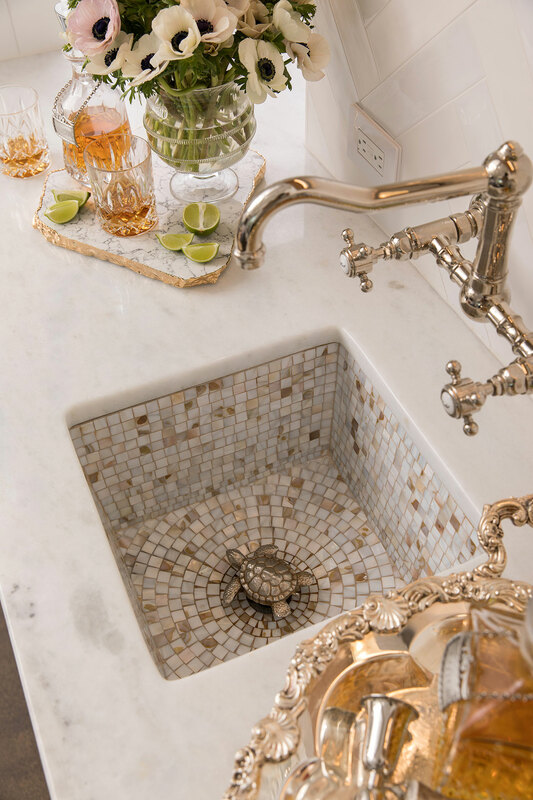 Her love of entertaining influenced the large kitchen design, where her heirloom silver collection can be displayed and blend beautifully with the polished nickel fixtures. 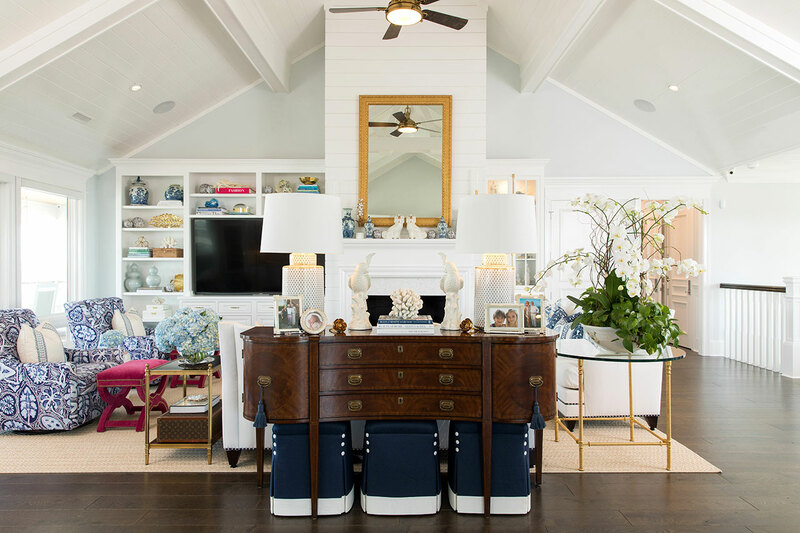 A stocked wet bar sits just off the living room, welcoming guests to a cocktail. 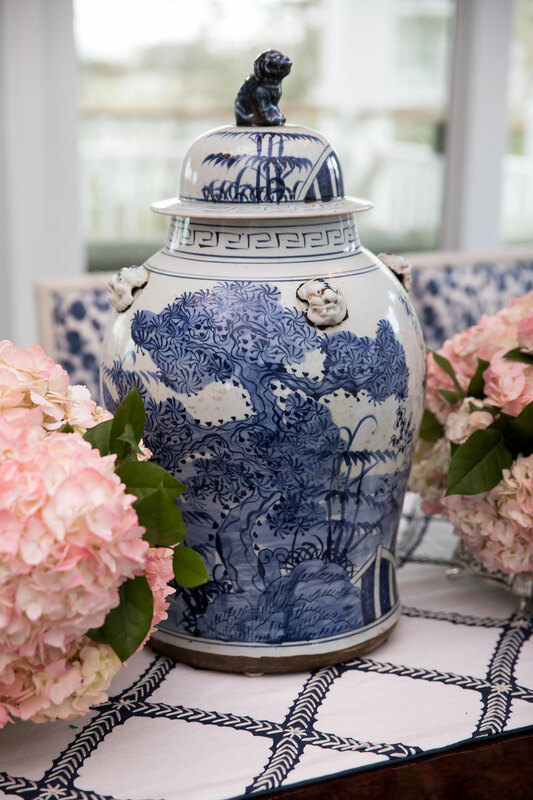 Fresh flowers are a mainstay, and vintage blue and white ginger jars were a must. 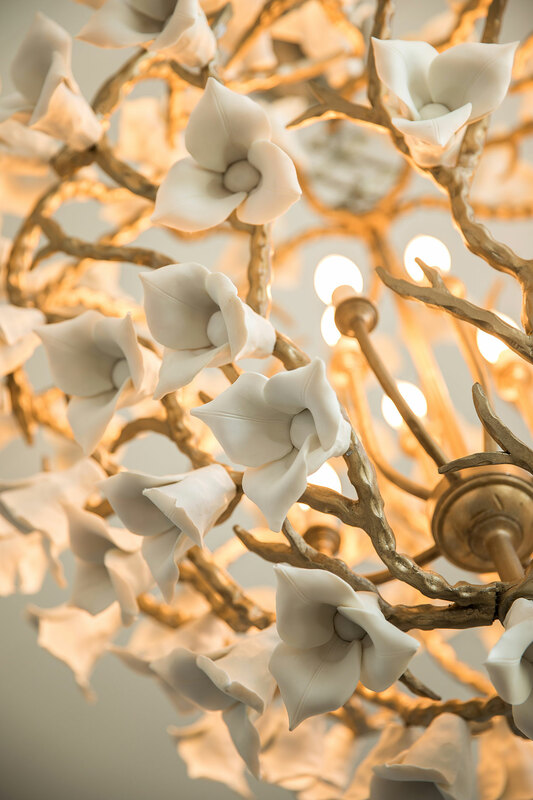 Authentic coral fragments were sourced from around the world, mother of pearl, quartzite, burl wood, porcelain flower sculptures, personal family photographs, and embroidered fabrics competed the look.